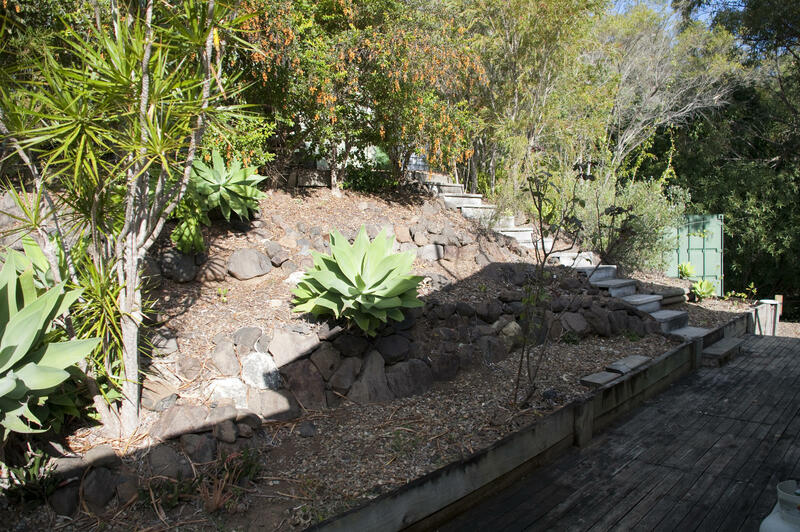 The terrace gardens at the end of the house were barren, dry and completely devoid of organic matter and nutrition when we came to Arborlon. While some tree grew in places, the rest was rocks, mountain soil and succulents and Agaves. So we set about improving the soil, removing the (small)rocks, and planting some new trees and plants. 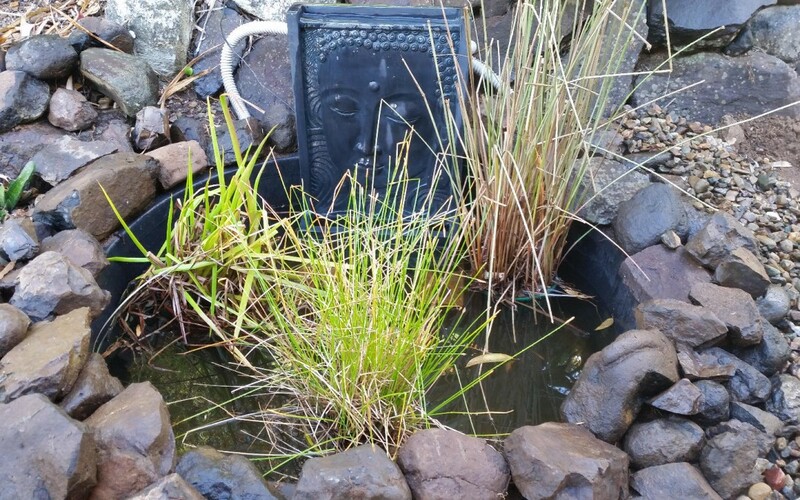 As we had been given a ‘plastic pond’ by our friends at the Yoorala St Community Garden, we put it to use in order to make a water habitat for the local wildlife and to break up the garden, which was a rocky desert. It was a relatively simple job. We excavated a hole that would fit the circular black plastic pond, sealed the holes i the bottom of the pond and dropped it in the hole we had created. Once we had ensured it was well supported and not likely to break or leak we completed the habitat with some rocks from the mountain and filled it with water. 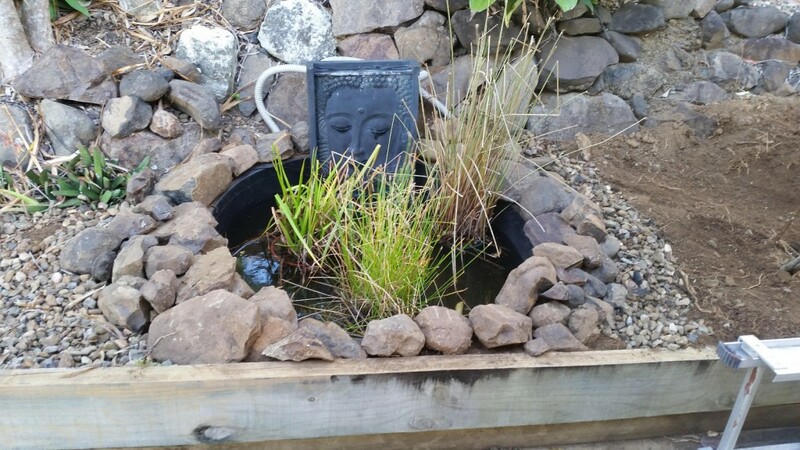 We had previously had native rushes and sedges growing in a water habitat at our home in Brisbane, so the they were placed in their new watery home. It is our plan and hope that the presence of water here on the mountain will draw more native wildlife into our area.